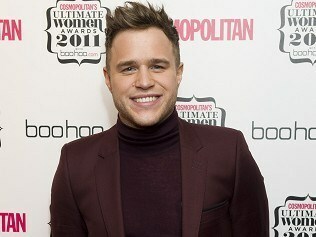 Olly Murs has revealed he would never put his TV work before his music career. The Heart Skips A Beat singer, who was runner-up to Joe McElderry on The X Factor in 2009, currently presents The Xtra Factor with Caroline Flack, but has no plans to focus on more presenting work. "I like working on The Xtra Factor and it's been going well, but it hasn't inspired me to do more presenting," the 27-year-old told The Sun. "There was no way I was ever going to let the music suffer." The Essex-born pop star, who has had two number one singles and is heading off on an arena tour in 2012, is currently at number two in the charts with Dance With Me Tonight. Olly, who was personally chosen to co-host the spin-off show by former judge Simon Cowell, is proud to have proven the critics and doubters wrong. "Lots of people were sceptical, and I saw a lot of negative tweets when I got the job. People were saying, 'He's not going to be good enough' and 'It'll be great to watch Olly sink on camera'. It was great to prove them wrong," he revealed. "Simon came up to me and asked me to do it. At first I said, 'Are you sure?' and he said, 'It will be a great move for you. I think you can pull it off'. All credit to him," he added. Emmerdale's Jeff Hordley says he couldn't be more different to his soap alter-ego - baddie Cain Dingle. Nicola Roberts has said she's "really excited" about Girls Aloud's 10th anniversary reunion - and insisted Nadine Coyle will have no problem fitting in. Debonair chart veteran Bryan Ferry, who helped change the face of pop music with his band Roxy Music, will be made a CBE by the Queen. The dress worn by Amy Winehouse on the front of her Back To Black album has sold for more than £40,000 at auction. Elvis Costello has warned his fans not to buy his latest album and said its price tag of more than £200 "appears to be either a misprint or a satire". N-Dubz star Fazer has revealed he doesn't mind the attention his girlfriend Tulisa Contostavlos gets. X Factor judge Gary Barlow admits he is terrified every week as he waits to see how well the show has done in the ratings. Kelly Rowland has hinted she may not reprise her role as an X Factor judge next year - insisting her priority is to go on tour. Amy Winehouse's family will not release any more of the singer's unheard music unless it is "comparable" with her earlier hit records.